Please write “PHIL FOELL” on the check memo line or in the memo or account field in your online bill payer. Phil Foell, besides being an ordained minister, has a BS in Management and Computer Science from Case Western Reserve University, where he befriended many International students and frequently had them home for Thanksgiving, Christmas, and Easter. At the 1987 Urbana Missions Conference, Phil committed himself to the lifelong goal of reaching the nations. After graduating, he worked for 15 years for an international company, where he was exposed to strategic planning, leadership programs, and process improvement initiatives such as 6 Sigma. While there, he was instrumental in recruiting, training, and managing a diverse team of Asian/Indian software developers by day, and working for the church by night and with a Chinese Bible study on the weekends. His interest in the nations has stirred him to lead half a dozen short-term mission teams to China, Russia, and Thailand. He has a passionate commitment to Jesus Christ and the desire to build the church through worship, fellowship, discipleship, service and outreach to his neighborhood and the world. He met his wife, Ellen, at their church in Cleveland Heights. She received a J.D. degree from Case Western Reserve University, has practiced law for many years, and has spent two years as a missionary in Thailand. Her interests include missions, teaching, and writing. She has written and taught Bible studies for many years and is a frequent speaker at conferences and women’s retreats. She continues to practice law and focuses on meeting local non-profits’ legal needs. She also loves to cook with, care for, and mentor international students. 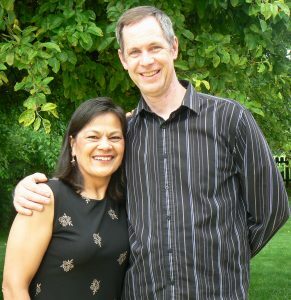 Phil and Ellen have been married 25 years and have four beautiful children. Phil has a passion to extend the reach of IFI to new churches and new arenas. Phil has the gifting of a scribe and has been very helpful in carefully documenting staff meetings and improving internal communication within IFI. He is also involved in several networks around the city, always looking for opportunities to find new churches and individuals to partner with IFI. He works on building key relationships both within OSU and the surrounding community. As the Director of Strategic Events, Phil often works behind the scenes to help IFI plan large events, organize student trips, and plan training conferences that will benefit international students. He is also heavily involved in training international interns at IFI. The Foells are still in the process of funding their ministry and would sincerely appreciate your prayers and financial support.